PVC Zipper & Runner imported by Raj Incorporated are used for manufacturing PVC pouches and ziplock bags. These zippers & runners are NOT for clothes & bags. These are specially imported from Taiwan and are of excellent quality. 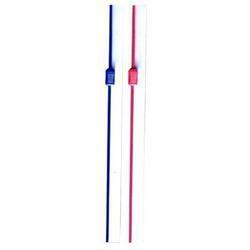 Zippers come in standard size of 2.2 cm X 2000 meter and various colours like Clear, Red, Green, Blue & Yellow. Runners are matching to zippers in size and colour and come in standard packing of 5000 pieces per packet. PVC Zipper commonly used in plastic bags, packing and packaging industry are made from special grade raw material and imported from Germany, Japan and Korea for their excellent durability and competitive cost. 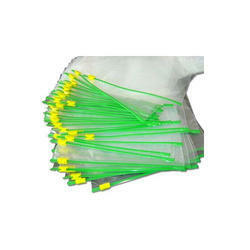 To furnish diverse requirements of our clients in best possible manner we are offering a wide range of Plastic Zipper. We offer these in market in different sizes and colours as per the requirements of our customers. These are manufactured using best quality material and advanced techniques in conformity with the international quality standards. Moreover, we offer our products at reasonable prices. 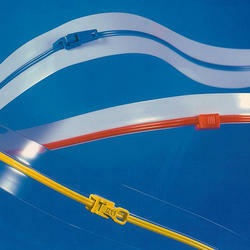 We are one of the leading companies engaged in offering a wide array of Plastic Runner. 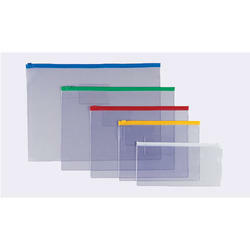 These are extensively used in packaging industry and are highly reckoned among our clients due to their superior quality. These are made using fine quality material which we sourced from the certified vendors of the market. Our products are available in market at very economical rates. Keeping in mind the diverse requirements of the clients, we offer our clients wide range of PVC Runner. These are manufactured using quality assured raw material and advanced technologies to meet the variegated preferences of our customers. We test the entire product range in varied well-defined parameters using latest tools before they are dispatched. 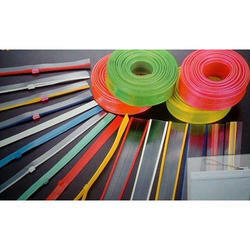 PVC Zipper and Runner are commonly used for making plastic bags and pouches. Our material is of export quality and available in various sizes and colours. These are specially imported from abroad to match export quality standards. We have the largest variety and ready stock. Looking for PVC Zipper & Runner ?